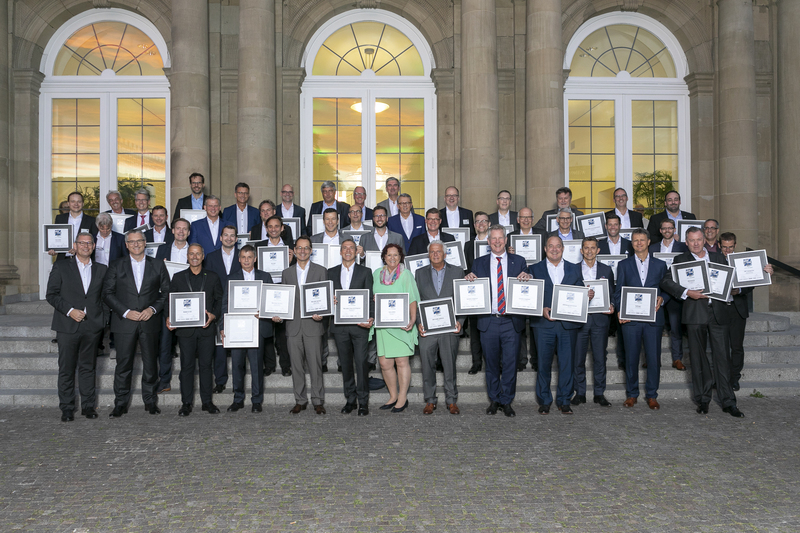 For the fifth time in a row, EUROPART has been voted 'Best Brand' in the 'Traders of truck/bus parts' category. 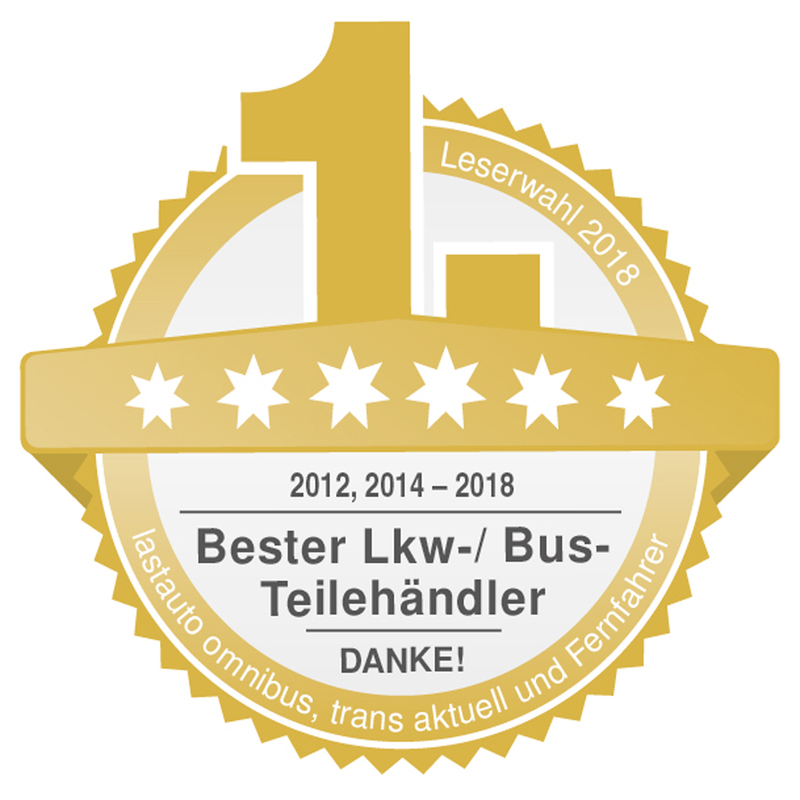 Readers of the trade journals lastauto omnibus, trans aktuell and Fernfahrer voted Europe's leading trader of commercial vehicle and workshop supplies/equipment for the top spot and by doing so recognised the competent and customer-friendly service service, quick and accurate logistics as well as EUROPART's extensive range. The award also honours the long-standing and steady development of the traditional Hagen-based company which this year celebrates its 70th anniversary. As Olaf Giesen, CEO of EUROPART enthusiastically states, "Once again, for us it's a great confirmation of our work, however it still remains something special." "Being able to repeatedly convince professionals in commercial vehicle workshops of us and our service for so many years is a credit to the entire EUROPART team." At the award ceremony on 21 June 2018 in the 'Stuttgarter Schloss', Giesen received the prize consciously in the name of the entire workforce. In the past decades, EUROPART has focused on the truck, trailer and bus sectors and established itself as the leader in the European market. In order to steadily increase its market share in Europe, EUROPART pursues this strategy through organic growth, targeted acquisitions and cooperation with national and international partners. The most recent of this has clearly been the acquisition of a 100% stake in EUROPART Polska S.A. in May this year. 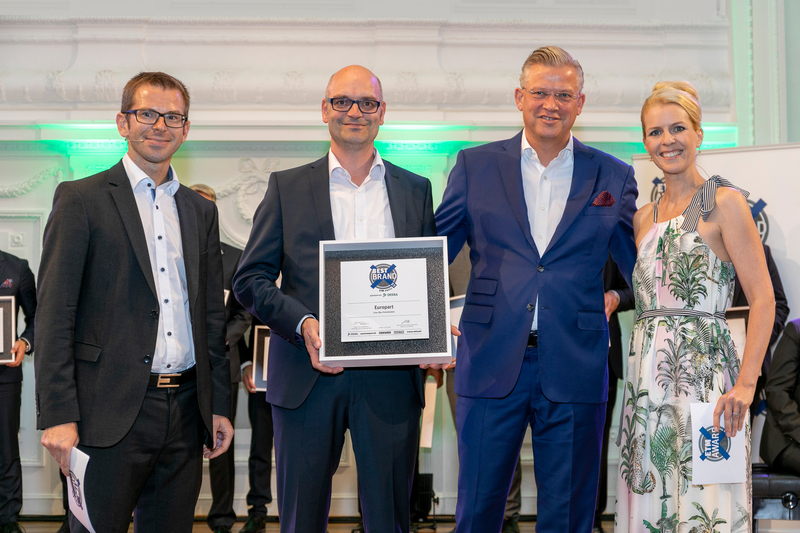 As Michael Vennemann, Sales Manager Central Europe at EUROPART explains, "Receiving the award for the best brand for the fifth time in a row also shows that it is right to put the customer at the centre of what we do and that our brand strategy is well received." "With our brand ‘EUROPART Premium Parts’, we offer alternatives of a similar quality to brand suppliers and for many of our partners, this is an additional argument for EUROPART as a partner." The good relationship with EUROPART customers was clear to see at the successful open days which were celebrated in the summer across Germany.